This beautiful set of 16 printable gold papers features sparkling golden glitter and warm, glowing bokeh backgrounds that simulate real-life lighting scenarios like falling rain, water bubbles, glimmers in the night and lights through wet glass. Whether used as digital photography backdrops or as paper for scrapbooking and other creative projects, these will definitely make an impression. 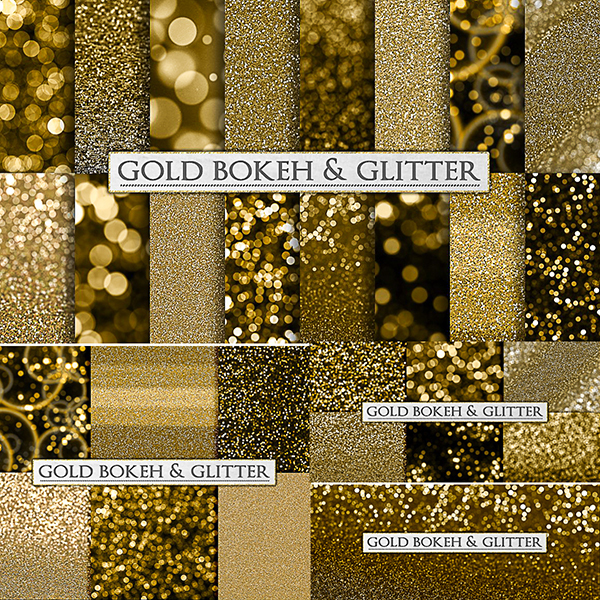 Tags: background, bokeh, bokeh texture, glitter, gold, gold shimmer, golden, printable paper.